Bought a 9mm Lee Precision manual reloader So, the other day I took 5 - 9mm FMJ rounds and separated the shell casing from the bullet with 2 multi-tools with needle nose and the "teeth" wrench part. It burred(spelling?) the casing top edge. After dumping out the gun powder, I loaded shell and fired PRIMER only. My plan in buying the Lee 9mm reloader kit is to make "wax wadcutter" rounds. I wanted the "deprimer" tools. And, if I wanted to be brave could possibly make a few 9mm rounds...still debating on that...lol. I met a guy, he gave me some rounds and shot wax at cardboard in garage and was really fun.....accurate to 15-20 feet I think. Was just propelled by primer. Also, have recipe for make paraffin wax so wont clog up 'rifling' in barrel. Anyways, back to subject. I shot 5-6 rounds which I'll post a few pics. Not sure if I could damage the 'extractor' or not by firing 'burred up' shells with primer only. But, the other night I had a jam that I couldn't even pull the slide back. I had the 'Range Master' come in and he gripped the slide tightly and hit the back of the grip(where beaver tail is) a few times with some decent force and finally broke loose and extracted the un-spent/fired shell. After that I emptied the magazine(probably 5-6 bullets left) with no problem. My range time was up because they were closing, so couldn't fire another magazine. I got home and seperate extractor from slide and was all sort of 'gunk' in there. Hoppes No.9 cleaned right up with plastic bristle gun scrubber brush. The range master said could have just been bad/out of spec shell. It was the cheap Winchester 115gr 9mm luger at Walmart for $85 per 500 rounds. At the rate I shoot(1-2 rnd per sec)....cant afford quality rounds. Not saying Winchester is bad either....just fits my budget. When I was in college, my room mate and I would pull the bullets out of a bunch of .22 cartridges and drip candle wax into the casings. We would target shoot empty cans in the living room with a wooden back stop. We shot these out of my .22 S&W revolver. It was a blast. Probably not too smart but those little wax wad cutters were a lot of fun to shoot. It was only a little louder than a cap gun. Yep, the ones I shot sounded probably a little louder than a 22. round(I was shooting 9mm). I think done correctly, it could be a cheap way to target practice. 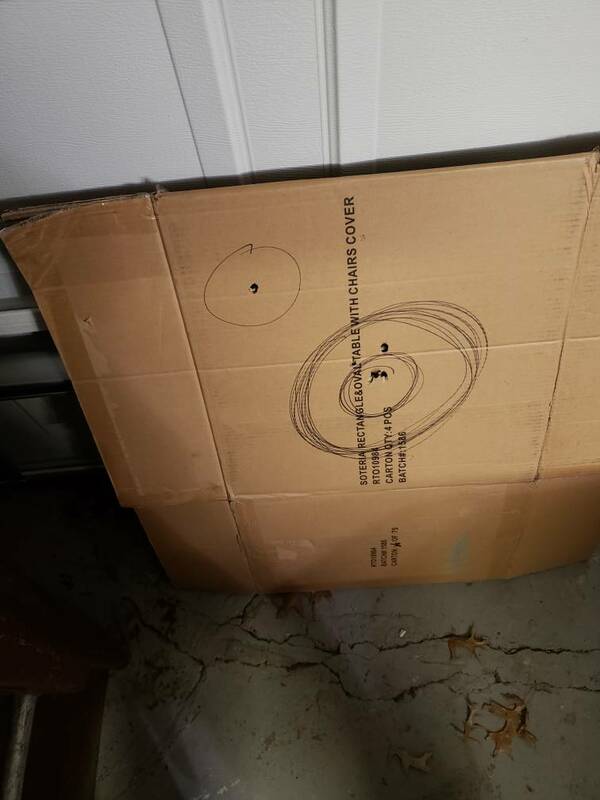 I shot through cardboard box doubled over and it pinged the garage door. Didnt dent. But, did get perfect BULLSEYE at about 15ft with my Taurus PT111 G2C. I'm gonna say YES, the way that casing looks, that is what cause the gun to lock up. The brass expands in the chamber from the pressure of the powder igniting, even from just the primer. Those burrs (and calling them burrs is being nice, those things are nasty) would definitely dig into the chamber and lock things up TIGHT. If you plan on making more rounds with wax projectiles, do yourself a favor. 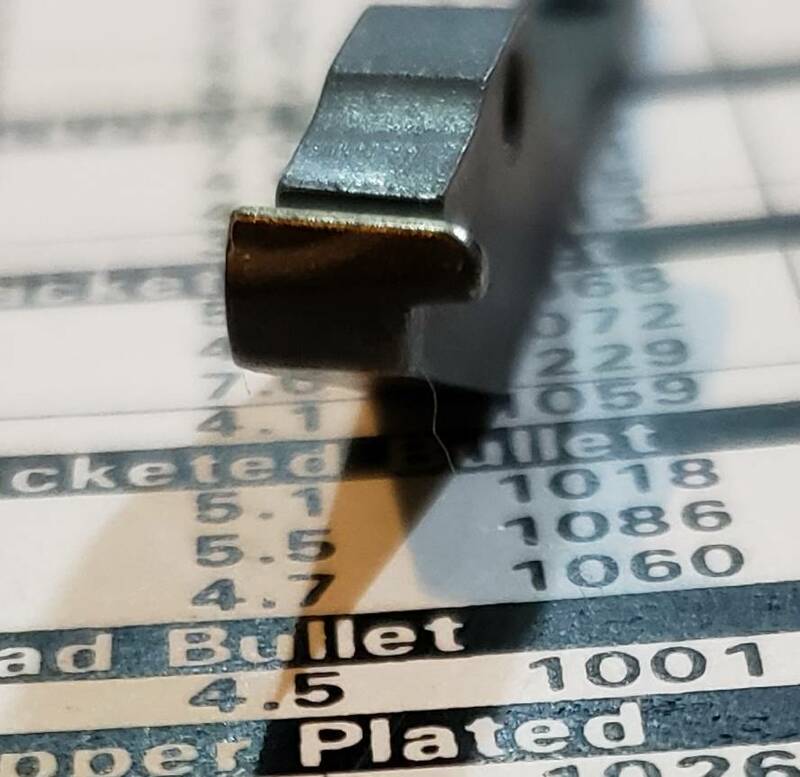 Either shoot the factory loaded ammo at the range and then run them through your cleaning and resizing and priming process, or buy a bullet puller. Don't use two pairs of pliers ever again, PLEASE. I would also suggest reading some reloading books and manuals, and studying the information collected on this forum, because it seems to me you may be shooting from the hip a bit here with the reloading deal, and that could turn out to be disaster. Every time you pull the trigger on a firearm, you are setting off a little explosion just inches from your hands, and your face, things which you may want to keep in good condition for a little while. If I am wrong about your experience level, forgive me. I just don't want to see you get hurt. This is just what I was thinking. The ONLY way to properly disassemble a round is with a proper bullet puller so neither the bullet nor the case are marked in any way. Another thing I'm curious about is how you are chambering these WAX rounds? Obviously the are not powerful enough to cycle the action so I have to assume you are dropping them into the barrel releasing the slide on them? If this is so that can also jam the case to the extractor and it can not only ruin the case but ruin the extractor as well. Good point, SI VIS. That would explain the heavy brass material on the leading edge of the extractor. I know there are different schools of thought on whether or not having the extractor ride over the case rim will cause damage or not, and there is no real consensus on the issue, but whatever the reality is, I don't think it is a good idea to make a habit of it. Lol, and I reply 'lol' because of my own ignorance. Yeah, for some reason after I separated the bullet from shell casing my 'gut's feeling was not to shoot it through the gun. But, I didn't listen and hopefully didn't do permanent damage. I will find out when I go back to the range Sunday and run about 200 rounds through. I agree on learning more about reloading through educating myself, but honestly dont plan on reloading actual FMJ (or ANY) bullets until I have the right equipment and knowledge. 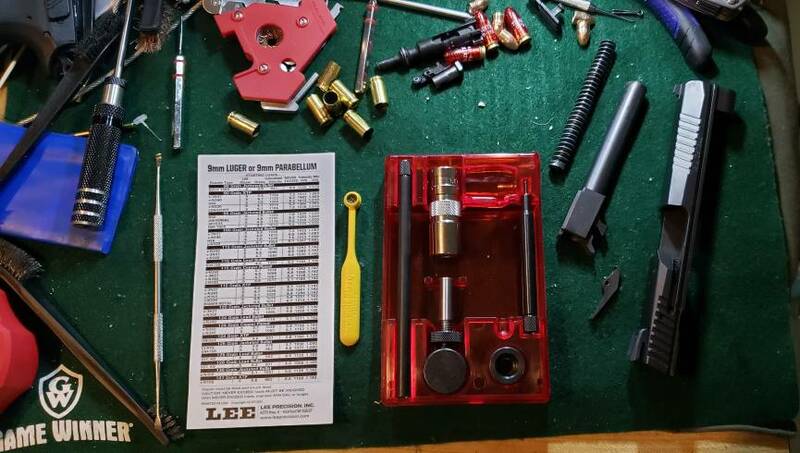 Again, I just bought that Lee reloading kit mostly for the depriming casing and punch for making wadcutter wax rounds and, for the record, I have collected about 100 spent casings from the range shot though my gun. I never really had plans on attempting reloading actual live rounds, especially with this cheap kit. I promise I'm not a TOTAL idiot...lol I am fully aware of the dangers of reloading.....too much powder and exploding my gun(can only vent off so much pressure before becomes a hand grenade and I unfortunately make the 6'oclock news). I will look into a bullet puller like a kinetic puller for cheap rounds I shoot. But, honestly, will probably never reload because from what little research I've done the time+equipment+material doesn't really equate to any significant savings. My interest was and still is making wax wadcutter rounds which I have plenty of shell casings from shooting my P09 at the range. Not actually reloading live rounds with powder. Correct, drop in and release slide. The guy I initially got the wadcutter wax rounds from(I met at my local vapor(smoke) shop makes his own. He shoots, from my understanding, a lot through his gun. Now, what I dont know is if he has experienced cycling issues or extractor issues with his gun. He has an H&K P30L. I'll ask the next time I see him. And, for the record, haven't shot any wax wadcutter rounds through my P09 yet. Just made dumb choice to shoot 5-6 primer only casings separated with pliers. Interested to see what some of your opinions are from those 2 links I provided. If the consensus is it's still a bad idea then I'll toss the Lee precision kit in the trash and call a loss. If you take a close look at the first pic of the extractor you posted it appears that there is an imprint of the case rim on it's face. This is what is bad about dropping rounds in the chamber and letting the slide fly home on them. The extractor face slams the case rim instead of sliding up in place behind the claw. Now some pistols have an extractor face cut at an angle and while they will fly home on an already chambered round much smoother your still forcing the assembly to function in an other than intended manner. I'd not abandon your project though as this wax bullet concept will really work well with revolvers and you've already bought the tools so maybe you'll change your mind about reloading your own ammo. You'll need to be much more careful on both disassembly and chambering. • Both processes are scaring up the head of the cartridge. However, the CZ runs a "supported chamber", so that size differences of a little as 0.001" (1/3 the dia of a human hair) can make the cartridge case not fit into the chamber. 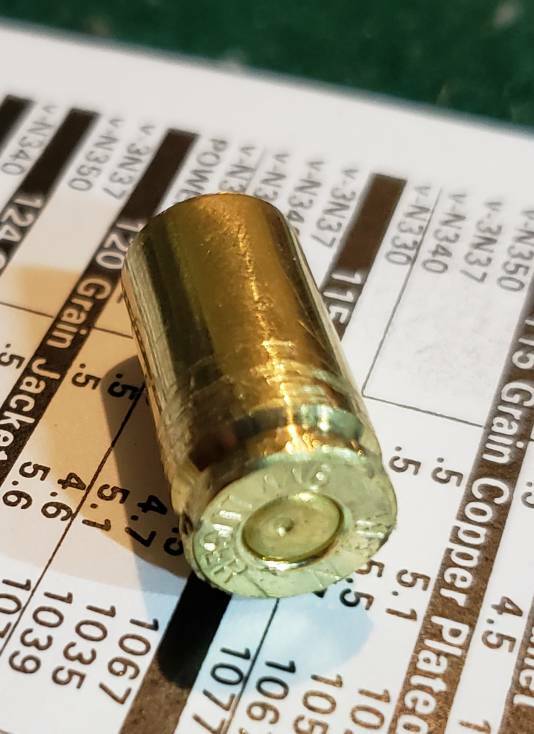 I suggest you purchase a legit bullet puller, or buy a small lot of empty brass, and then feed your rounds from the magazine..
• The "jam" took place because the chamber on a 9x18 is tapered, like the cartridge. So deformed cases are allowed to start entering, but it's very easy for the power of the sidle return spring to wedge any offensive case hard into the chamber. If you had done this, on say a 38 Special, then the rounds won't have chambered from the outset. When done properly this is a fun, safe way to practice. You simply need to refine your reloading technique. What you're doing won't hurt the extractor...especially if you keep from scuffing up your brass. Use a bullet puller instead of pliers. Why not “pull the bullet” by simply firing it at the range and then just collect the brass? A P07 was my first CZ. If I drop a round in the chamber and then let the slide go forward to force the extractor over/around the case rim the extractor cuts a nasty looking gouge in the rim of the cartridge case. Nasty. Not sure where that piece of brass ended up. So, I never tried it with the CZ85 or the CZ75 Compacts. I just let them feed/chamber a round from the magazine. I'd second/third the recommendations to only feed rounds from the magazine. Hang a piece of old rug or blanket behind the cardboard to further slow down/stop/and even reduce damage to the wax/glue/plastic bullets.